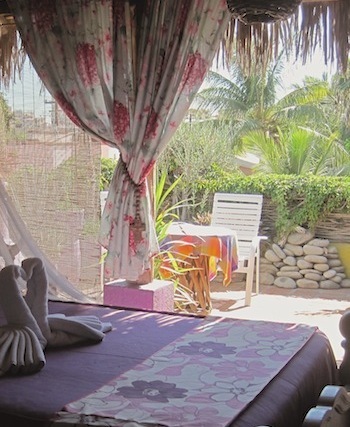 Small inns and boutique hotels offer the visitor an option to the big hotels and may very well prove to be the one of the reasons for your return to Cabo. These smaller hotels are often more affordable than the larger hotels and offer a more intimate experience with Los Cabos. Many small hotels are in the heart of Downtown Cabo San Lucas, putting you in walking distance to almost all of the main attractions. Among the first three hotels in Cabo San Lucas, the Hotel Mar de Cortez is a charming and popular colonial-style Historical Landmark Hotel located right in the heart of downtown. 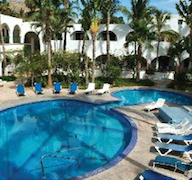 The Hotel Mar de Cortez has 88 air-conditioned rooms, large swimming pool, onsite restaurant and bar AND free WI-FI. It has been family owned and operated for more than 30 years. All of the hotels listed below have 100 rooms or less. New Rates, Making Cabo Affordable!